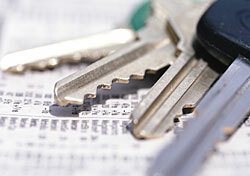 Need a cheap car rental for a weekend jaunt, or just to take care of errands around town? Enterprise Rent-a-Car has you covered. Through May 23, 2016, weekend rates at participating off-airport Enterprise locations are just $9.99 per day for economy and compact cars. That’s for Friday through Monday rentals, and includes a maximum of 100 free miles per day. Up to two days may be added to weekend rentals at a discounted rate. If you need more space or comfort, weekend rentals of intermediate cars are also specially priced at $14.99 a day, standard cars at $17.99, and full-size cars at $19.99 a day. Those are very attractive rates, assuming you can comfortably keep the daily driving under the 100-mile limit. But beware: Miles in excess of the cap are billed at up to 20 cents each, and could quickly turn this into a losing proposition. Third-Party Rental-Car Insurance: It Actually Works!